With its unique tart flavour, Prickly Pear lies deep in Aztec myth. Coupled with zesty lime, this is a vibrant combination. Ingredients: Raw Criollo cacao*, coconut nectar*, cacao butter*, dried prickly pear**, lime oil*. 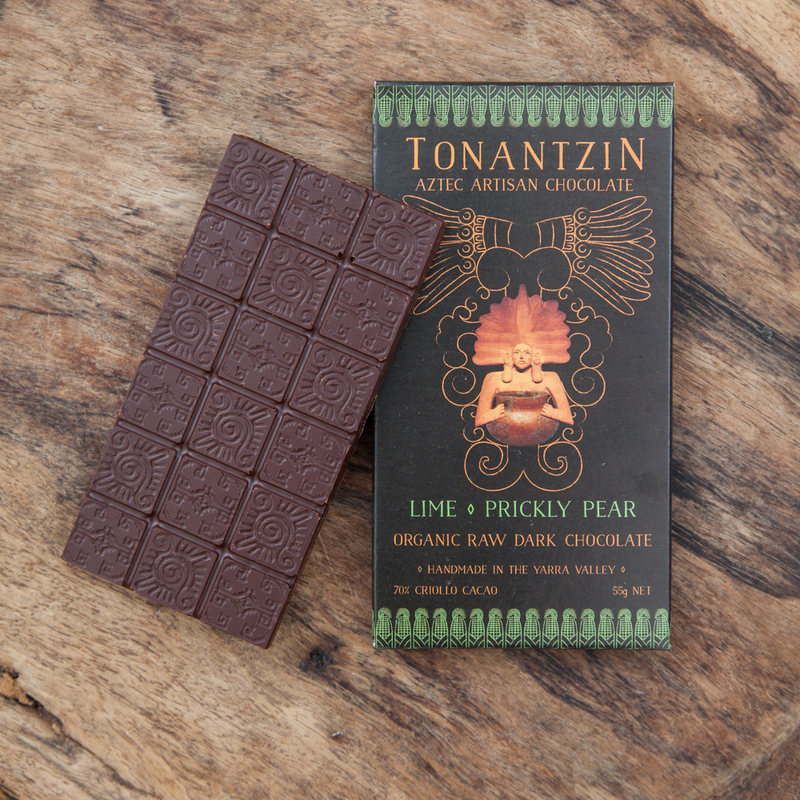 With it’s unique tart flavour; Prickly Pear lies deep in Aztec mythology. Coupled with the refreshing tastiness of lime, this is a vibrant combination. Prickly pears or Xoconostle pears are the red fruit of the Nopal Cactus. They are high in vitamin C, calcium, iron and fiber. Prickly Pears have recently attracted the attention of researchers around the world due to their particularly strong anti-cancer, anti-diabetic, and antioxidant characteristics. Lime oil is soothing and uplifting to the nervous system. It naturally encourages the appetite and is nourishing by helping to absorb nutrients, vitamins and minerals; supporting the digestive system. It prevents and fights against viral infections and helps restore energy levels.